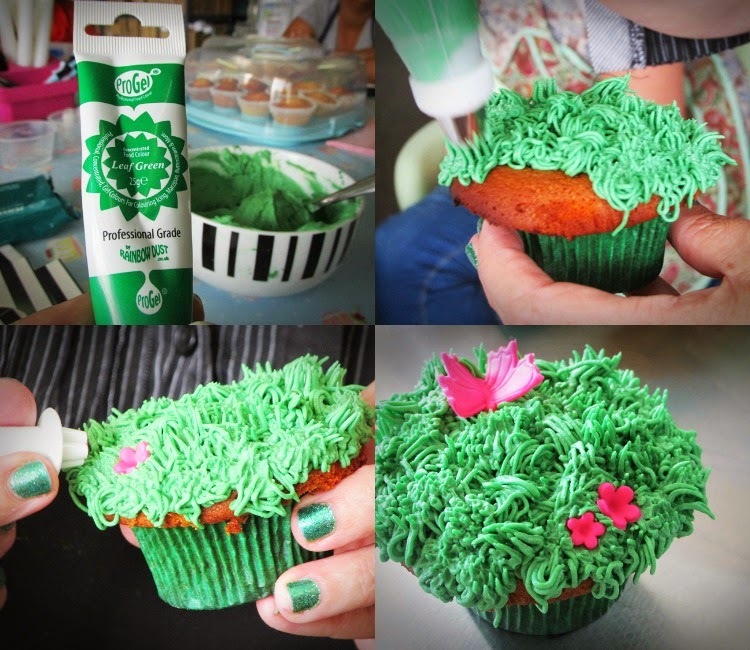 A few months ago I got cupcake envy, when I saw one of my friends posting pics on Instagram of her rosette cupcakes, which she declared "easy". For all my love of parties I am very much an amateur cake decorator, making do with frosting squirters and tips from the $2 Shop and trying to be as clever as I can with my limited skills. But after seeing those "easy" rosettes on my friend's IG feed, I felt inspired to up my game. 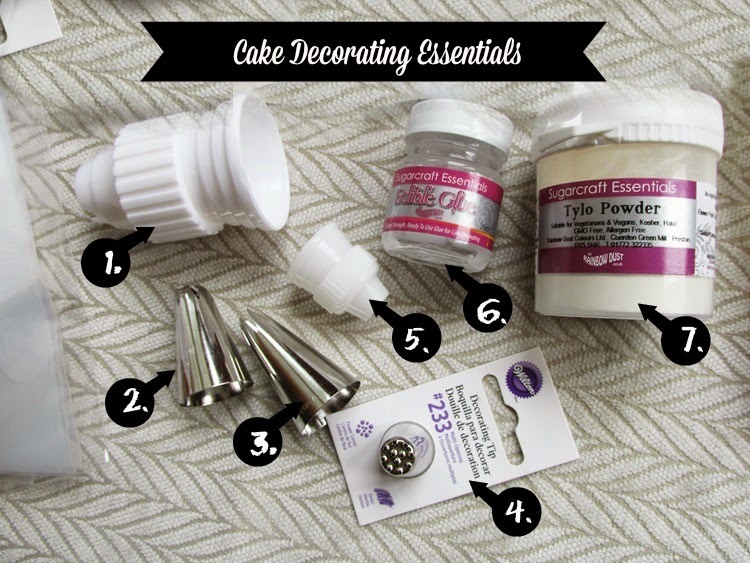 I wanted to be able to make rosette cupcakes too, dammit! And I knew just the lady to help me. 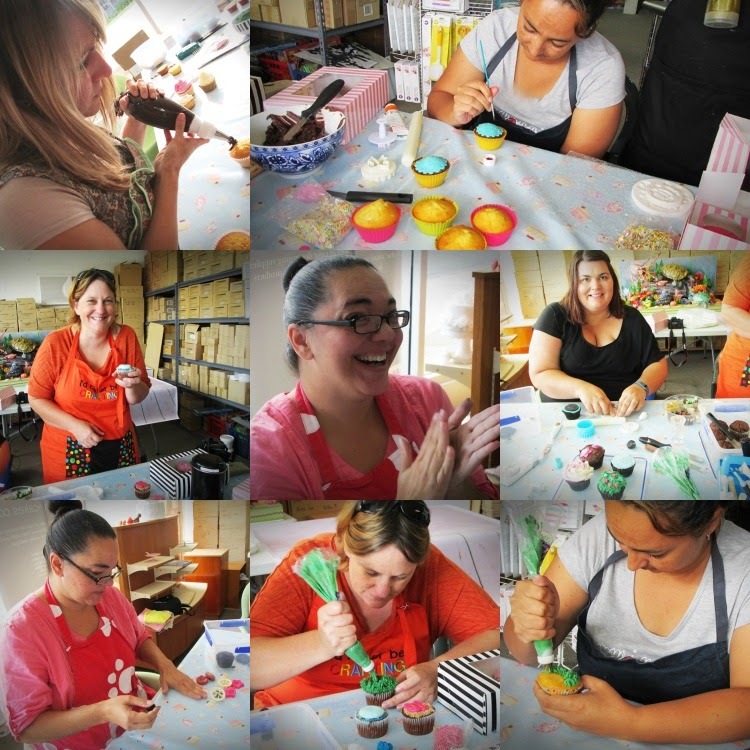 So I emailed my lovely Party Partner, Sandra from KiwiCakes in Whangarei, and said, hey I need to learn how to do this stuff better, could I come to a workshop - or would you be interested in hosting a workshop for me and some other bloggers? Sandra was keen, gave me a date, I started a Facebook thread for those I thought might be keen, and the The Great Cake Escape was born. We ended up with a group of six bloggers - three of us who made the trek in my people mover from Auckland, and three blog pals from Whangarei. I was by no means a natural. 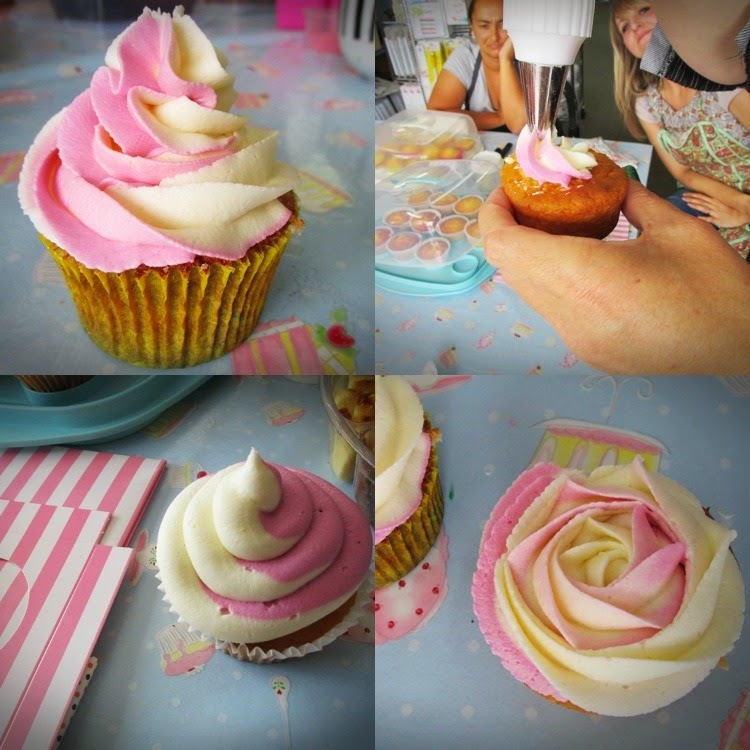 in fact I am pretty kack-handed, holding the piping bag wrong and wasting loads of buttercream while trying to perfect my rosettes. I will have to keep practising I think! Sandra was awesome - she put us at ease and gave us her best tips and tricks. Turns out the $2 Shop gear I've been using just doesn't cut it. If I want to do awesome cakes I need the right gear. So I got Sandra to put together an Essentials pack for me, so I could take what I've learned and do it at home. 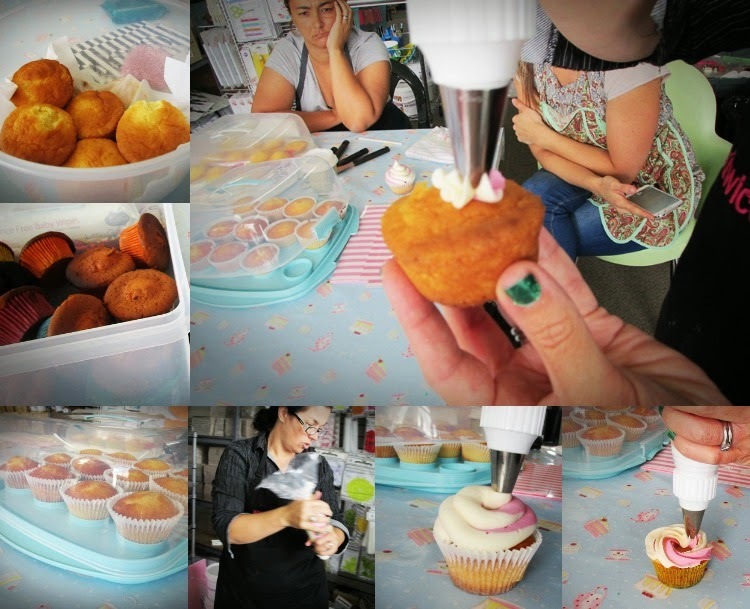 Piping bags - use disposable ones. 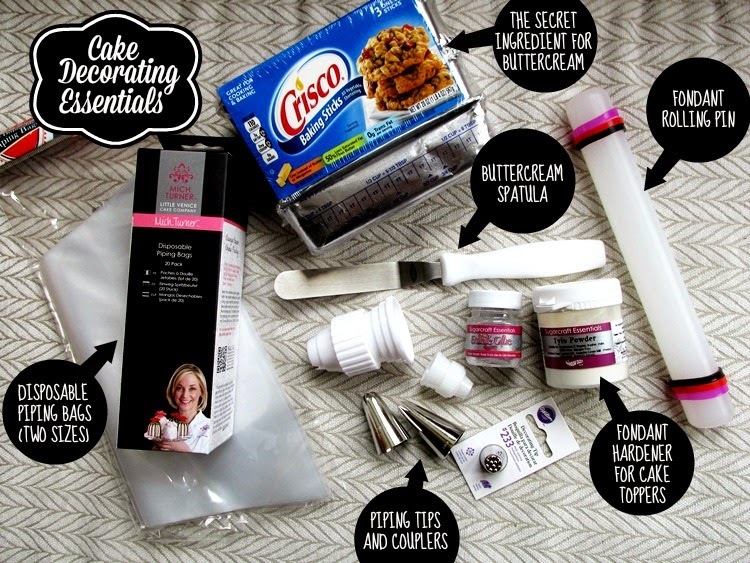 You can make perfect two-toned frosting by putting two separate colours inside two separate small piping bags and then putting them both inside a large one... and out will come two-toned buttercream frosting. Crisco - this is the secret ingredient to having buttercream that (a) holds it's shape and (b) is nice and white. Where your recipe calls for butter, use half Crisco. 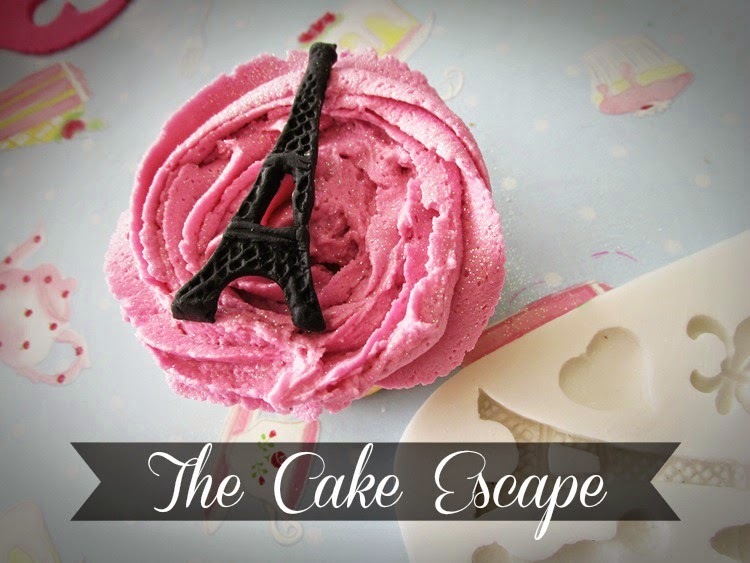 Tylo Powder - When you're making fondant shapes and toppers for cupcakes, work a little Tylo powder into your fondant and it will harden nicely to give nice non-floppy cut-outs and molds that hold their shape and stand up stiff. 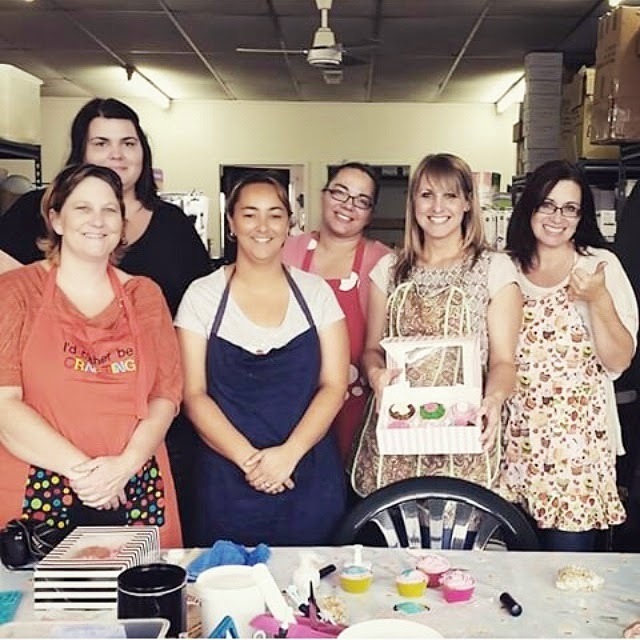 We can't thank Sandra enough for giving up a whole afternoon to patiently teach us novices! I know one thing - my cupcakes will never be the same. Yay! Such a great day - thank you Simone & Sandra!! My face! Confused...dazed and grumpy all in one shot! It looks like so much fun! And full of crazy amounts of sugar.